I'd like to see Sloter with the 2's and see if he has as much success. You see these unknown guys lighting up preseason almost every year. Tyler Thigpen was a preseason MVP. Heinicke another "diamond in the ruff". Don't get me wrong, Sloter looks impressive but it's against a much lower level of talent. Let's also not forget Case Keenum looked pretty bad in preseason. Arif Hasan basically called for him to be cut. I think they'll keep Sloter because he won't make waivers and Siemian is on a 1 year deal. I think Zylstra and Beebe are the 4th and 5th WRs. Wright hasn't shown much and Coley 'can't make the club in the tub'. Caleb Jones will be WR 6 since he won't take a roster spot for a couple weeks anyway, and by then someone else it liable to be injured anyway. Also, I'm pretty damn sure Beebe is going to be our backup Punt Returner. That might matter with Sherels having a hamstring pull. I don't think there is any change they'll get rid of Sloter. Even if it is against 3s, he has traits that indicate a high ceiling. Naturally, he might struggle against better competition, but Siemian has shown nothing, and I truly believe they could sign a guy off the street and get comparable QB play if Cousins goes down. I like his arm and mobility. Definitely has a gun slinger mentality about him, which is ok if can be managed. Siemian has been very disappointing even with simple ball placement. If Jones is suspended, he won't count. We will keep 6 WRs with Jones as the 7th possibly. I suspect it will be Adam, Step and Tred, Coley, Zylstra and Beebe. The only issue with this is it is a very young WR corp. Any injuries and we are basically running rookies out there. This is a bit late but i have a neat story about attending this game. We were seated a couple rows behind Kyle Sloters parents, so our area was especially invested in the last few Vikings drives of the game, it was very exciting. My wife actually captured a video of the 2 point conversion where she had the play going on on the left and Sloters parents celebrating and embracing on the right. She hasn't sent it to them yet, (she wanted to edit it for them a bit, and we have had a busy week) but if i get permission from them i will share it here. Made my first trip to the "bank" for this game. Very enjoyable experience, and while it was pre-season, with 2's and 3's playing, the final of the game was very fun to watch. As they were winding down to 0 seconds left, it occurred to me that Seattle was pretty much at the same spot we were against NO for the Minneapolis Miracle. Glad it didn't turn out the same way. 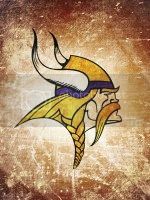 Only bummer is we were just off one end zone, but not the one where *all* the Viking's scoring was going on. Had a great view of the final play as it was right in front of us-- 2 yards shy thankfully.